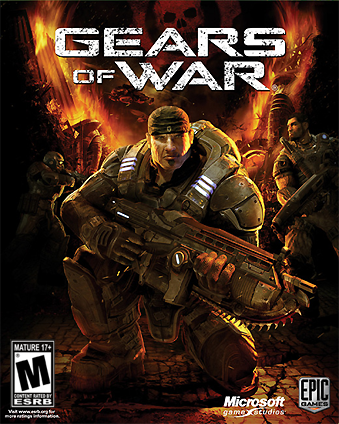 Even though most people might associate a certain song with Gears of War due to a commercial, the focus of this supposedly regular series is on original (not in the unique sense) music for/from video games. Who then shall be highlighted? None other than Dave Mustaine with his mega power of considering certain vowels unnecessary. "Gears of War" is a song in the franchise-launching Gears of War. It's rife with all of the elements you're used to from Megadeth. Quite frankly it sounds like a generic Megadeth song, but hey, it works here. It's definitely a musical style that fits quite well with the nature of the game. The lyrics aren't too complicated either but what they lack in complexity they make up for in repetition and heavy handedness as they get across a feeling of "gears of war." It's a simple tune that knows what it is supposed to be and accomplishes that goal rather efficiently. Interestingly, the vocal track never made it into the actual game and appeared later on the album United Abominations. A cursory internet search (read: Wikipedia and a forum post) reveals that only an instrumental version of the song was part of the game's track list. Vocals and lyrics were added later, however the song wasn't done in time for it to make it into the game's production. Sorry to disappoint those expecting the end credits Cole Train "rap" not only does that seem more like an incredibly pleb dance mix made using a soundboard, I need to save end credit rap highlights otherwise it'll be played out before I even get to the one by Mickey Rourke.